Failure analysis at Titan Metallurgy is utilized to find the root cause of your issue. We use every tool at our disposal to pinpoint the issue and eliminate all other possibilities. Specifically, we can use our various chemistry testing, mechanical testing, macro-evaluation and micro-evaluation to confirm that we have identified your true root cause. 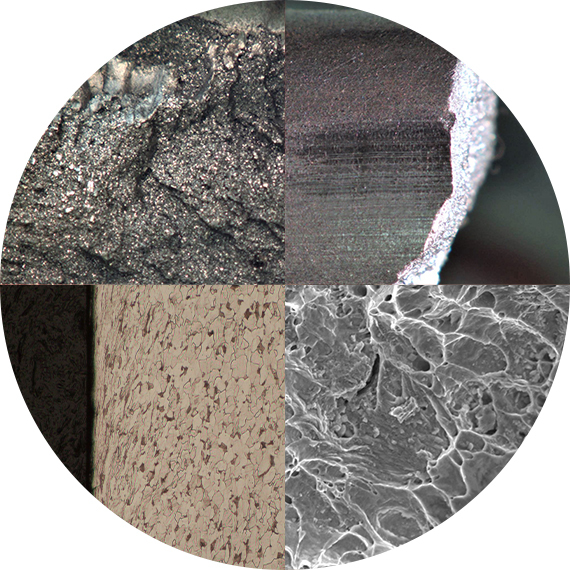 Along with optical methods, Titan Metallurgy also has the capability to use a scanning electron microscope (SEM), equipped with energy dispersive spectroscopy (EDS). This gives us the ability to look into the subtle details of a failure and identify surface characteristics that can conclusively lead to identifying a root cause. Our sophisticated tools allow us to provide a well-rounded, thorough, investigation of the material or part in question. Our degreed metallurgists have a diverse background of investigation experience and are happy to sit down with you or your team to discuss the findings from their analysis.